The *spoilers* ...Film 2? Or Film 3? I'm accounting for the bulk of the Necromancer-related material in the "Laketown" segment here (though I expect that there be some of it near the beginning and near the end of the film too). I'd guess at around 20 minutes altogether for that storyline. For scenes in which Smaug is present or actively involved, I'd speculate there'll be 20-25 mins. The last track before the Credit Song is "My Armor is Iron". Which is of course a Smaug quote. It is definitely a action packed score and the only action packed Smaug score we have on this soundtrack. So it's definitely the confrontation between Smaug and the Dwarves in Erebor. It is 5:16 long and I believe that tells us a little. I don't want to have a forced death of Smaug at the end of DOS. 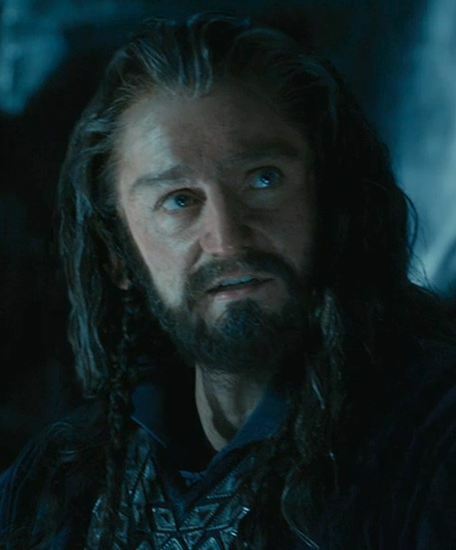 I don't want him leaving Erebor, attack/destroy Laketown in less than 5min and being killed by Bard. CREDITS. Don't forget... we've got half of the Dwarves and other mayor characters there in Laketown so it would be very unwise to do this scene in a couple of minutes only to please critics and some impatient fans. Give us a long and full blown attack on Laketown at the beginning of TABA to start with an explosion. Perhaps even with a Smaug flashback and his past? Also I would rather like to hear a more emotional score for this scene and not just a typical Hollywood action music. Remember the Warshaw Ghetto scene from Schindler's List? Where the Nazi soldiers storm into the ghetto to kill all the jews? You could put a action based music there but the effect of John Williams use of soft music makes this scene even more powerful. Okay... the destruction of Laketown is no comparison to the Warshaw Ghetto but if you remember the prologue scene when Smaug attacks Dale there is one scene with a burning puppet and a crying child. 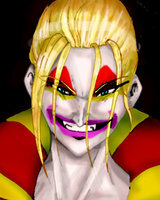 When these images are shown the action music changes into a single boy or girl singing voice. I would like to hear more of this particular and emotional motif when Smaug destroys Laketown. And remember also we've been to Laketown before (in DOS) so there will be a lot of places and perhaps even characters we know before Smaug will kill and destroy them... so it would make sense to use a more sensitiv music here. Going by the sountrack list and everything we've seen so far. Don't you think we would have seen a glimpse of Laketown burning in the TV spots or the trailers? I've thought this all along, and I still think it. I think Film 2 will likely end in a cliffhanger-y way, with Smaug leaving the Mountain in a fury and heading for Laketown. I think this both because it does not make sense to me to kill Smaug, the "main" villain of the story as it has been presented from the start, in the second movie, and because I think it is the best way to capture in a3 film adaptation, the unusual ending of the book with the unexpected battle developing in the aftermath of Smaug's defeat. I don't feel having Smaug die, and then beginning to show the aftermath to give moviegoers a new reason to come back to Film 3, would be effective either as an end of a film, or as a way to lure viewers back, or even for a good Film 3. Just the battle and Bilbo going home, for 2-3 hours, does not seem enough. I can almost hear Philippa Boyens saying 'how could we not have Smaug take part?' in the Bo5A. Thankfully, if there's something we would want to see more of, it's Smaug. But I don't want to see him participate in the BoFA � would prefer to see it occurring before that. I tend to agree with you, and this seems like a very logical approach. I was going to say I thought Gandalf was going to be in longer than 15 minutes, but then saw the additional scene for his story. One magazines I've heard about that did interviews with the cast members was trying to say it's in film 3 but I have to question how they would have found that out, much less been allowed to print it as WB has been pretty tight lipped about that sort of thing. I guess what will be will be, but I'd much rather Smaug die in film 2 because I don't see how they can hold that over till film 3. He is doing a tremendous job of keeping us guessing as to what will actually happen at the end of this movie! My guess is that none of us will know for sure until the first reviews come out. Considering how well-known the story is, to have opinions so completely divided on what will happen in the film. Builds up the anticipation, of course! Deliberate obscurity is the easiest way to promote curiosity, and curiosity is what will bring viewers into the cinema! Perhaps there will be another dramatic voice-over parallel to that of Sam during the victory of Rohirrim and ents at the climax of TTT? Except this one will be infinitely more tragic, as Smaug ends the existence of an entire town? Maybe Bilbo will look out from the front gate of Erebor after the dragon has moved on, and watches in horror as gouts of flame well up on the lake to the south as night falls. I read the answer to this question in an interview I read in either and Italian or German magazine, can't remember which. I was pretty surprised to see it too. Did anyone else see this? When the film is coming to an end, in whatever way - maybe the destruction of Dol Guldur - the dwarves (and we) still don't know where the dragon is. Then cut to Laketown, where someone (probably Bard or one of his spawn) notices the water turning to gold while the noise of a hurricane is coming closer. We hear the growl of six alligators, and cut to black. It could be a beautiful opening scene to TaBA. At first maybe one even thinks it's yet more flashback footage from the Destruction of Dale, depending on where we left off. In any case, the scene will probably be quite extended and deviated from what's in the book. In fact, Smaug dies in Chapter 14 (Fire and Water) out of 19 chapters. 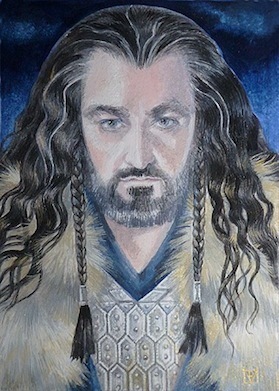 One can argue that Thorin's greed (or his sickness) is as equal of a villain as Smaug. Peter wanted to include more of the Necromencer's storyline because he really wanted the Hobbit to be a prequel and lead into the LOTR series (in the EEs, he mentioned that the audience should watch all 6 in sequence). If you look at it that way, Smaug is just a blimp in the overall storyline; the real villain is the Necromencer (aka Sauron). Pretty sure the Necromencer will have a large role in Bo5A (he may even be responsible for it). 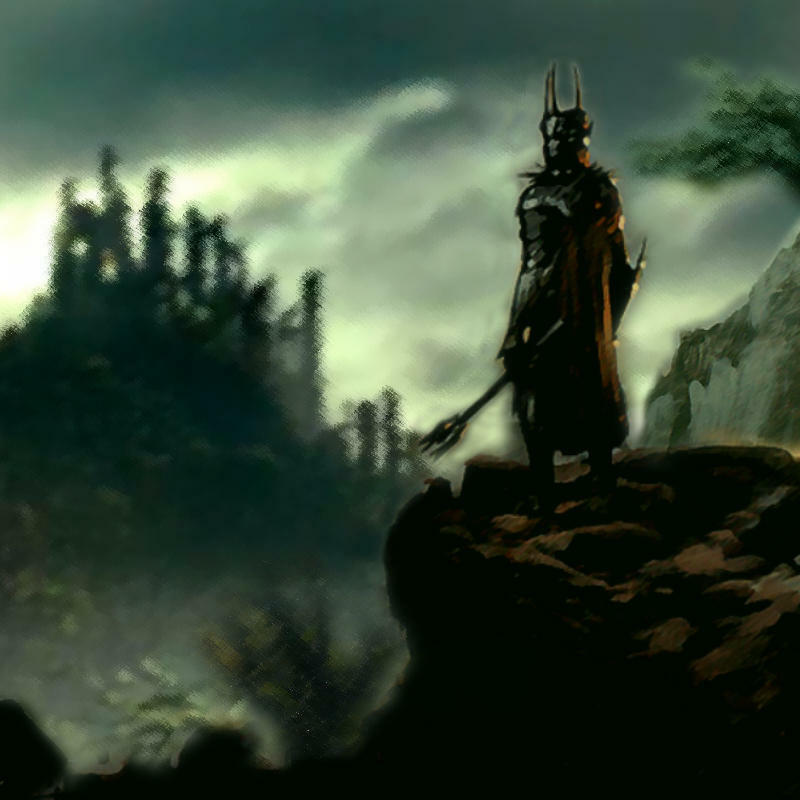 As such, DOS will be dedicated towards Smaug, and TABA will be dedicated towards the rise of the Necromencer and his transformation to Sauron in Mordor. So why would the audience come back for TABA if Smaug dies in DOS? Because we still have Gandalf in a cage, Dol Guldur is on the rise, and Bard will swear vengeance on Thorin and will mobilize his army. The Dwarves think they are safe, but little do they know what is outside Erebor. On the flip side, if Smaug just flies off, the audience will be left scratching their end and will leave the theater empty handed IMO. Otherwise, the Dwarves defeat Smaug, and he 'appear's dead, but whoa he comes back at the beginning of TABA for 10 minutes to lay waste to Laketown? That sounds more cheesy and forced (just to push a dragon into the third film for around 10 more minutes of screen time). Why did PJ include a dwarven battle with Smaug? Because the book was kind of cheap to Bilbo confront Smaug, and let a Thrush and Bard kill Smaug without much Dwarven confrontation, when really the story is about the Dwarves trying to kick the dragon out to get their home back. Thorin and Co. need another 'hero moment'. - The ever repeat of the Black Arrow hitting Smaug from AUJ EE. Why do they keep showing this scene, even after the AUJ EE is out? I think it is to clue in that a similar thing will happy to Smaug, but this time it will succeed in bringing down the dragon. are completely consistent with my proposal. We could see an ending shot of the Dwarves looking out in the direction of Laketown and seeing fire. The black arrow, in particular will certainly be in the movies, I agree. But it could be in movie 3. And so could events prophesied by Bard in Movie 2. When I say Smaug is the main villain, I don't feel I am making a subtle or literary argument. I am simply describing the movie series to date. Film 1 of this series had a very long introduction, for which it was widely criticized, and one which I personally felt was justified when considered as the introduction to three movies. (Well, I also just loved it, Dwarves+Bilbo=FUN!) And in that long introduction, Thorin's greed was not even mentioned. Smaug, on the other hand, was emphasized, along with the Dwarves' desire to reclaim their homeland. This is the way PJ and team decided to start their series. IN light of that decision by them, I find it hard to believe they would kill Smaig off in Film 2. His death should be given a chunk of screen time on its own. Along with the burning of Laketown. Without Billy Connolly, Lee Pace, Mikael Persbrandt and Manu Bennett chasing each other around his carcass. It seems crazy to me from a marketing perspective anyway that they would hid Smaug for this entire promotional run and then kill him in this film thus screwing themselves out of an opportunity to sell him more openly in the next film. The only reason Gollum isn't showing up anymore is because of Lord of the Rings. he'll die in Film 3. As others have said, the scene with the dwarves battling Smaug at the Lonely Mountain will be the climax of film 2- it would be odd if that scene was in the film and then Smaug died straight afterwards at Laketown. There is no evidence of Smaug attacking Laketown in any of the trailers so far, though it's as if the marketers want us to think that it does happen as they show Girion firing a ballista at Smaug from Dale (a flashback) in the trailer which almost fooled me into thinking that it was the black arrow. Why not just use actual footage of the attack on Laketown rather than re-use a flashback scene to fool people? My guess is because it doesn't happen in this film and this is simply a ploy by the advertisers. That being said, I personally hope that they won't kill him off in film 2. This is the mighty Smaug we're talking about: it would be a shame if he was killed off immediately after being introduced into the story. 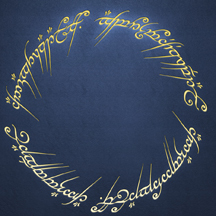 Also, as I've stated in other threads, his death at the start of film 3 would be an ideal opening act as it sets the stage for the rest of the film's story, and it also helps fill it out more: if the film consisted only of the Bo5A and the Dol Guldur battle, we'd have an extremely slow start (one of the criticisms of AUJ) with a fast paced middle and end to the film. Having the attack on Laketown at the start of the film would help speed up the pace of the film at the beginning. So to conclude, the attack on Laketown, in my view, would be too much to cram in to DoS and would work well at the beginning of TABA. 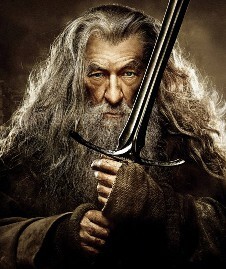 I think the battle with the dwarves could still end up being a satisfying conclusion to the film with the dwarves surviving his attack and forcing him out of the mountain (perhaps also blasting a weak spot out of his armour that Bard later exploits), albeit at great cost (getting trapped in the Mountain) that leaves a degree of uncertainty at the end. I imagine this will coincide with Gandalf escaping the Necromancer and moving to rally the White Council, setting the stage for the battle to come in TABA.